I've been doing some modding the last few years. On Seikos only, so far. I've done work on my Turtle & have 6 SKX 007 /009s on the go. Pictured here is my "Fake" 007. I say fake because nothing about this watch is original to the SKX 007. Nothing. 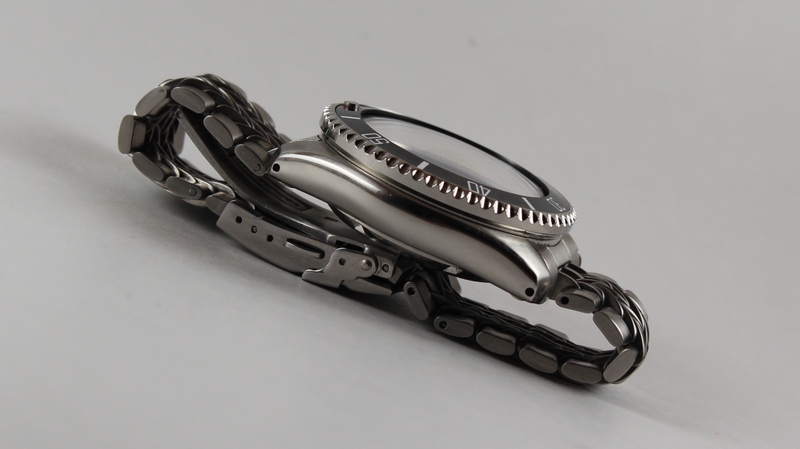 Case (with drilled lugs), caseback, movement (NH36), crystal, dial, handset, chapter ring, bracelet, all gaskets, bezel, bezel insert, crown, & even the crown stem are all from after market mod online suppliers. I was really expecting a disaster of sorts, but it turned out quite well - imo. AranaWhite, FunkDaLicious, pneuma and 1 others like this. Not into mods but you did well Roarry. That razorwire bracelet goes nicely with the watch. Wow. It's a great looking watch in its own right, Roarry. That razorwire bracelet goes nicely with the watch. Razorwire, eh? I learn something new here regularly. Man oh man, it's more like "Fantastic" instead of "Fake" Roarry ! a real watch maker, and artist in those few short years honestly. Wow, and never heard, of a Razorwire bracelet either to be honest. 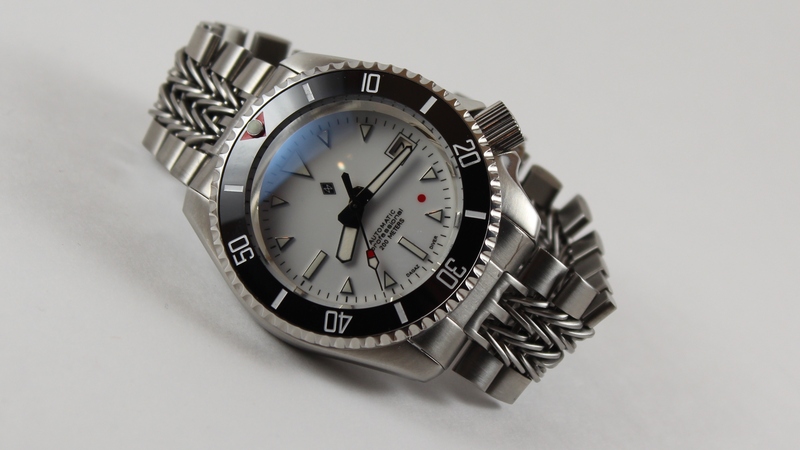 Hey there's a cool name for the watch right there...a Razorback 007 ! showing it to us, and telling us a little about it like this ! Roarry you have vision as well as the talent to put it all together. Cant wait to see the next one. AranaWhite and Roarry like this. ^^^ Thank-you Brian, & to all for your encouragement! I would never even have known about SKX007/009s if it weren't for WF. I'll post pics as I complete them. I slow down in the summer when the classic cars come out. Hurry up spring! Reflex and zed073 like this. Awesome looking piece. Full scale custom build. How's the time keeping and positional variance compared to a stock SKX? Better or worse and did you regulate it to get it that way? Very cool. Thanks. It has a new NH36, so I'm going to run it 3 weeks & then regulate it myself with my Timegrapher 1000. Just like Reflex, I'm not into modding per se. But will comment "Ya dun good Roarry"
zed073 and Roarry like this. That's so cool. I'm curious whether things like the aftermarket crown or case affect movement stability inside the watch. Excellent work and thank you for the post. Still in the learning curve. I've not noticed any discernable differences between the Seiko case, crown or stem from the afternarket. In some small ways. the latter is somewhat better. Things line up just right, without any play.